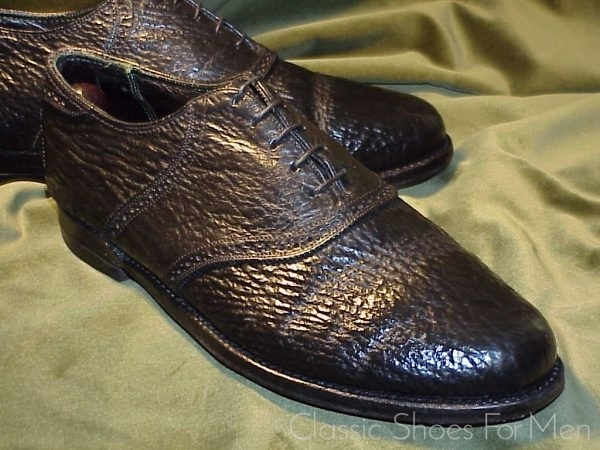 Judging from the workmanship and treatment of the lining, this shoe most likely dates from the 1980’s. 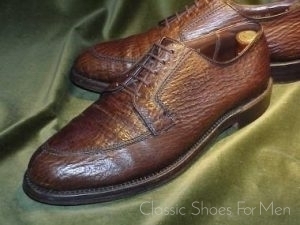 These marvelous Saddle Oxfords are beautifully hand-lasted, Goodyear welted, brogued and finely zig-zag pinked. The skins are soft and pliable as new; Sharkskin is extremely durable as evidenced here. 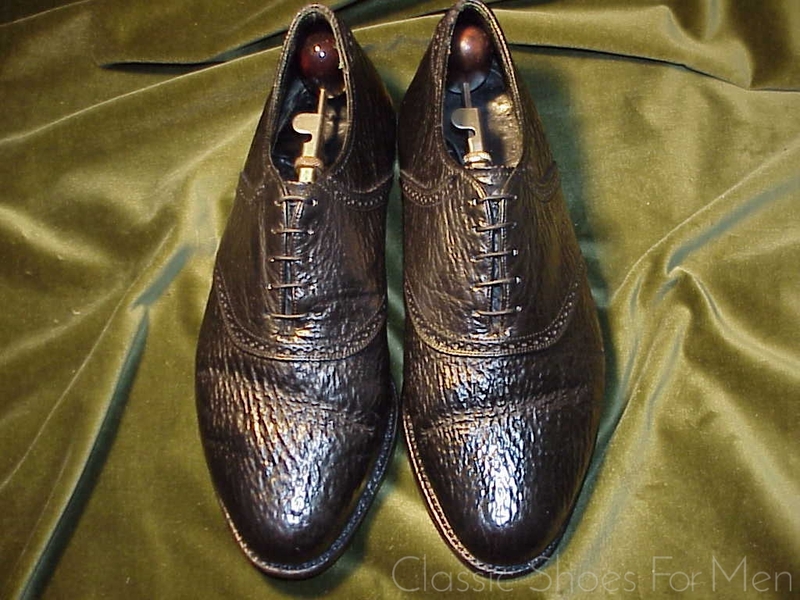 This pair is in superb condition. 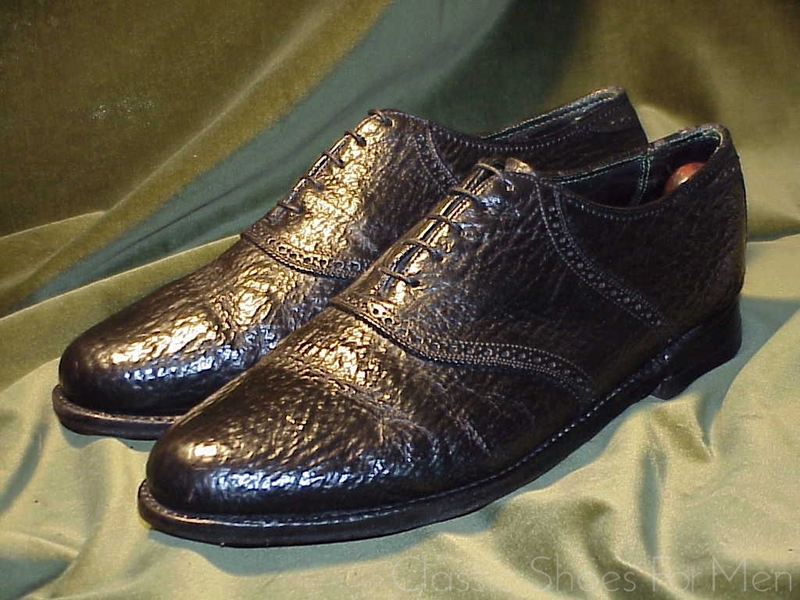 The colour of these shoes is a deep, dense Black with the characteristic subtle natural shimmer of Sharkskin; a beautiful and eye catching effect. This material, among the rarest from which shoes can be made, far more rare than any Alligator shoe, possesses a quiet elegance that signal extremes of luxury without the slightest ostentation. The saddle of leather over the instep was originally intended as reinforcement for sport. 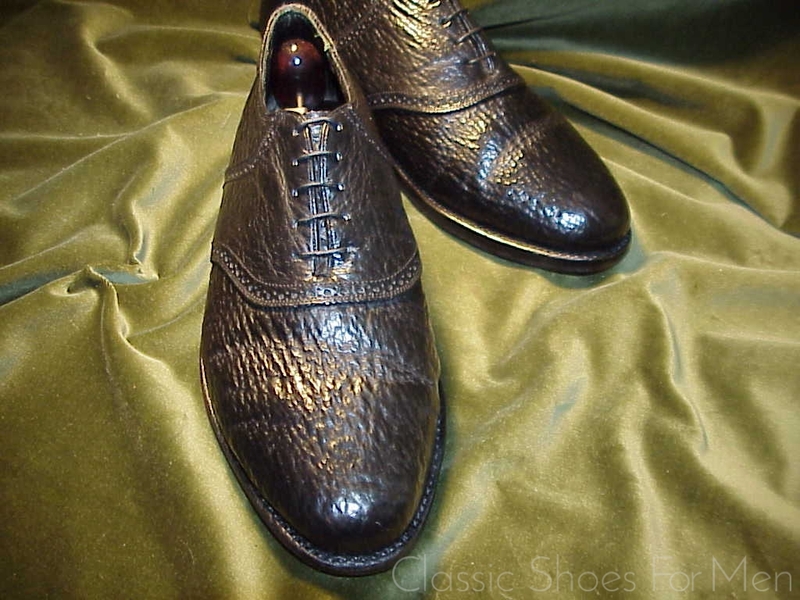 Like the two-tone Spectator or Co-respondent shoe, the Saddle Oxford began in the early part of the century as a buckskin lace–up with a contrasting smooth leather saddle. It made it way into golf in the 1920, and although never truly successful as a sport shoe, soon became widely accepted by the bobby socksers and the collegians of the mid-century. 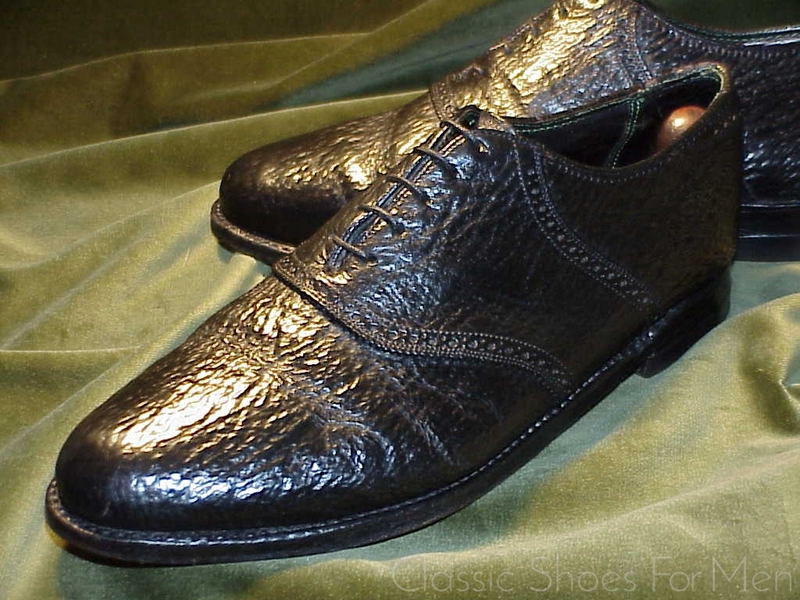 This early example by a top-notch shoemaker in black sharkskin is a remarkable find in excellent condition for the aficionado or collector. 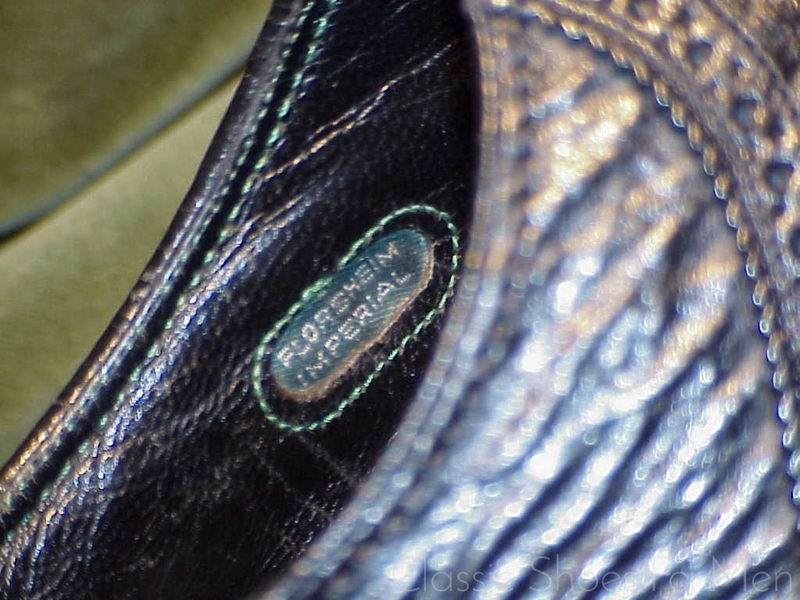 The use of Sharkskin in the making of shoes, now no longer done for reasons of conservation, is a largely American phenomenon. The two major producers were Footjoy and Allen Edmonds. 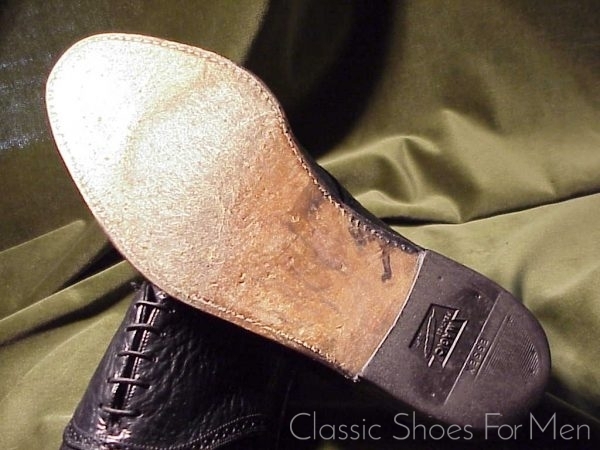 One does see quite some variation from one pair to the next in the selection of skins; these being a rather longer grain than used in the usual examples. The effect is rather sleeker and very elegant. 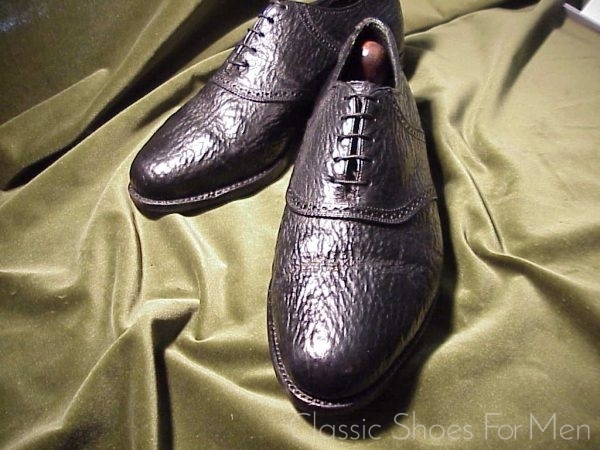 A glamourous shoe, extravagantly elegant in the handwork, finishing and materials and still absolutely understated and without a hint of ostentation. 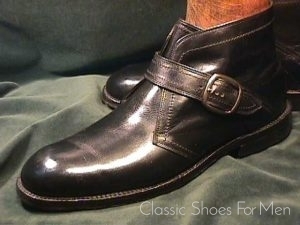 I cannot sufficiently emphasize the rarity of such a shoe. 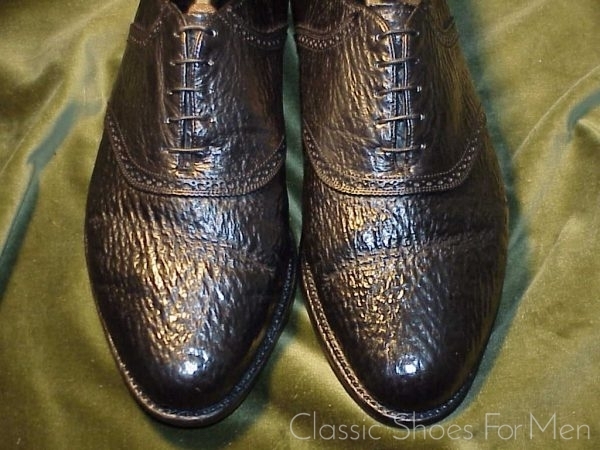 It is far more rare than any Alligator shoe, or, indeed, any other exotic skinned shoe. This vintage pair of special order oxfords are nothing less than works of art, museum-pieces, destined for the passionate and knowledgeable collector. 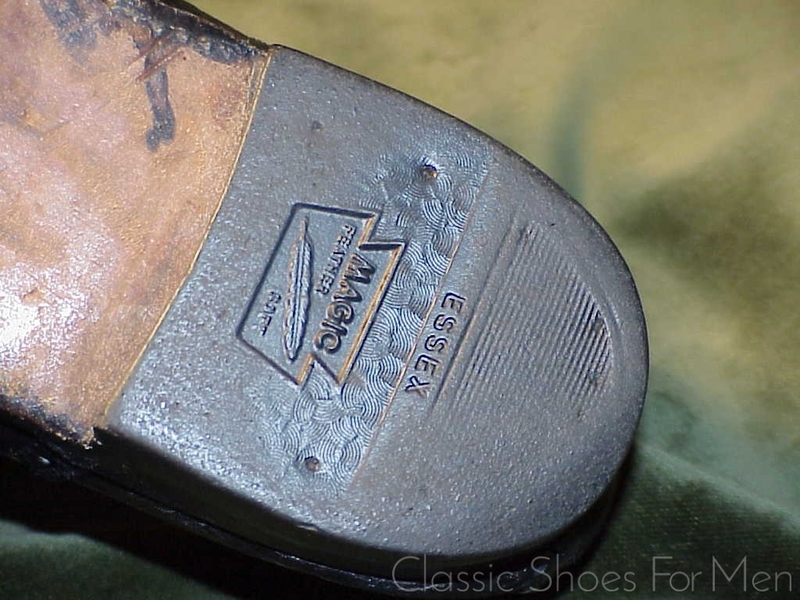 An indestructible and, not surprisingly, rather waterproof shoe. 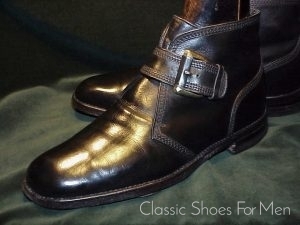 Only available today from a custom shoemaker, thus the replacement cost must be seen to be in the thousands. European 41WIDE......8WIDE US.....7WIDE UK,. 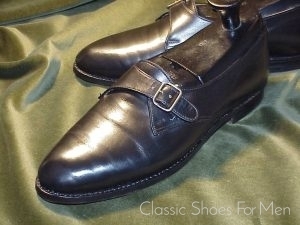 If you have been buying oversized shoe to get the width you need, here is the correct solution, a truly wide fitting in your actual size! Fine. Tops near new, hardly creased. Bottoms showing trivial wear. Heels slight rounding. 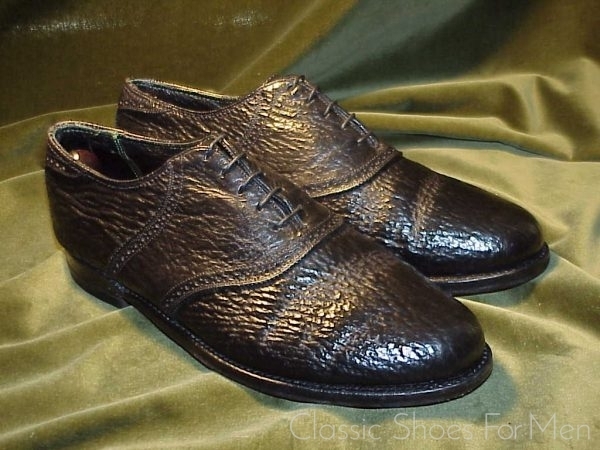 Voilà une chaussure classique on ne peut plus soigneusement montée, datant des meilleures années de fabrication d’un grand bottier, et faite dans le plus admirable des cuirs Requin Pacifique. Son grain caractéristique confère à cette chaussure un charme discret tout en dotant votre garde-robes d’une touche luxueuse que ce soit pour votre tenue de tous les jours, de sport ou de campagne. Somme toute, c’est une chaussure fort appréciable, d’une belle ligne classique, élégante et robuste à la fois (le roquin étant un des cuirs les plus solides qui soient), et qui se patinera au cours des années d’un lustre inégalable. Nous nous trouvons devant une véritable rareté censée soulever l’intérêt de mes clients-collectionneurs les plus exigents. Etat: pratiquement neuf. Malgré leur âge, 30-40 ans environ, le dessus est d’un toucher parfaitement doux et souple, les semelles d’origine ne présentant que de légères éraflures (traces d’usure). 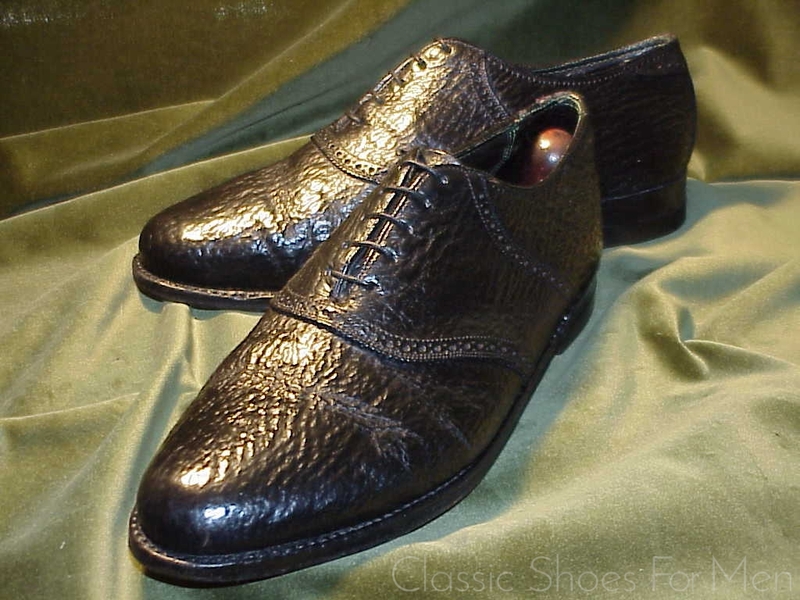 La chaussure est entièrement doublée d’un des meilleurs cuirs de Box-calf. Frais de poste : 14,20 € en France; pour le reste d’Europe contacter moi, s.v.p.